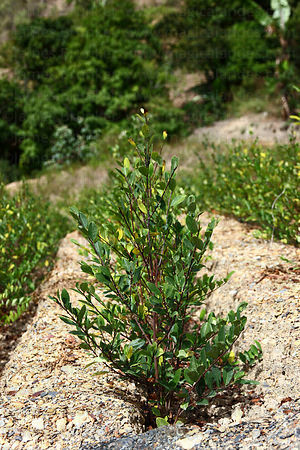 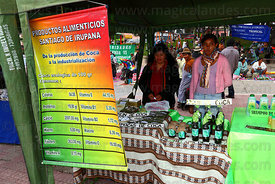 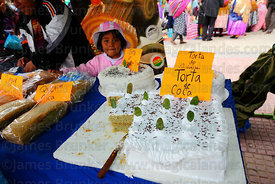 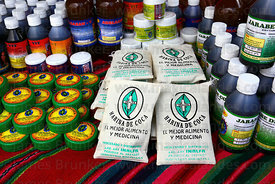 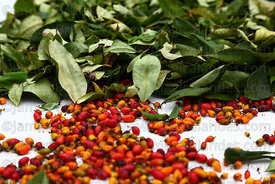 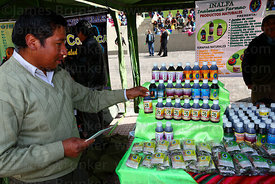 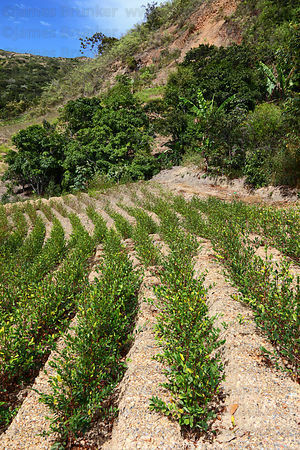 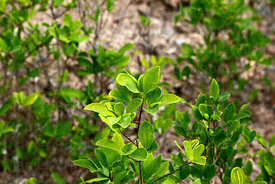 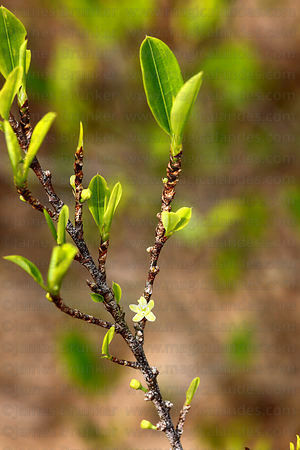 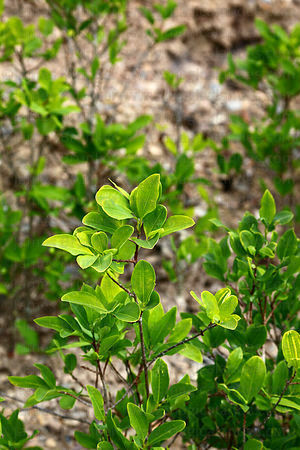 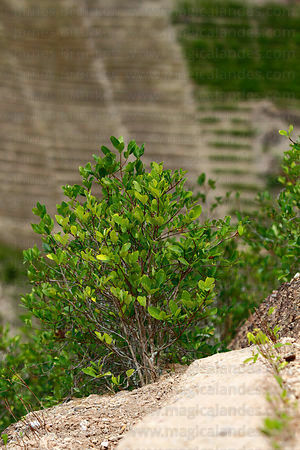 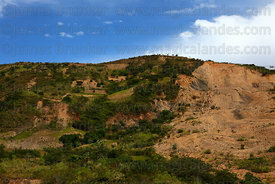 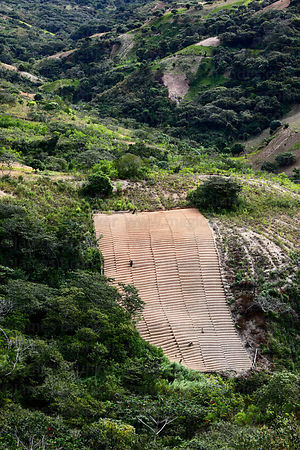 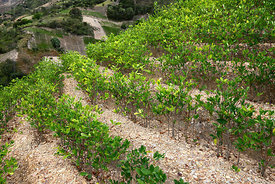 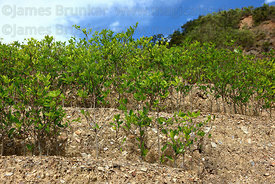 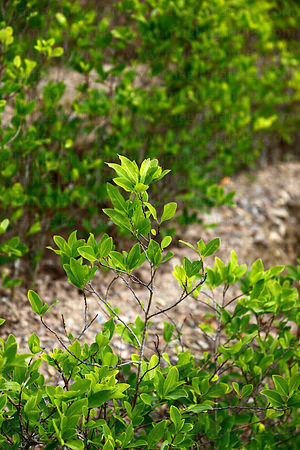 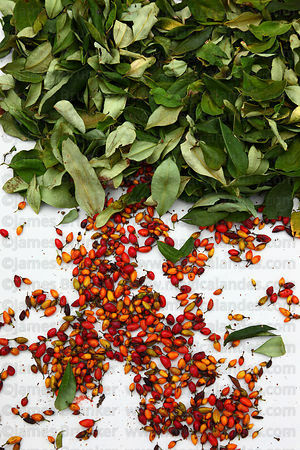 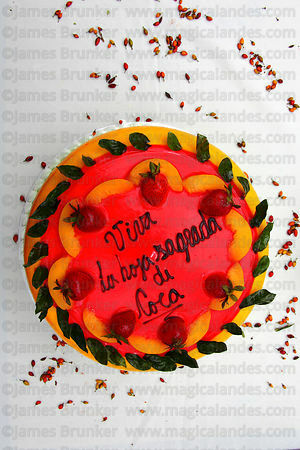 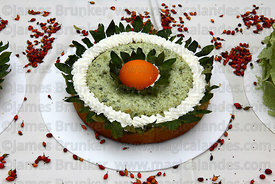 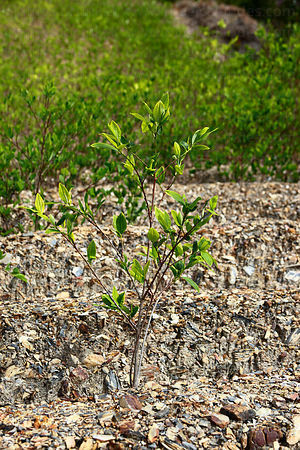 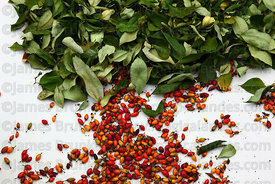 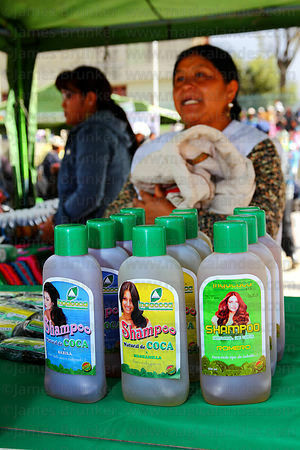 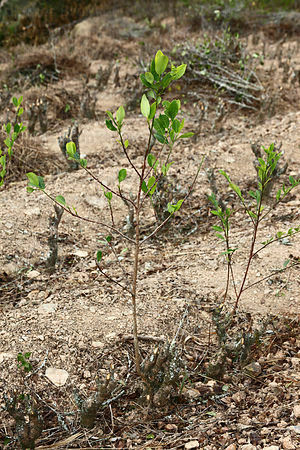 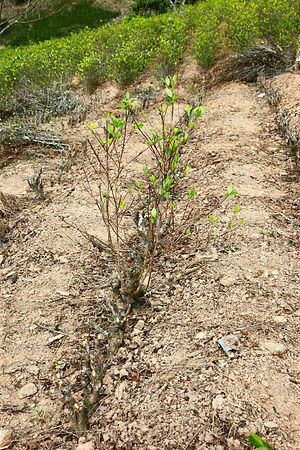 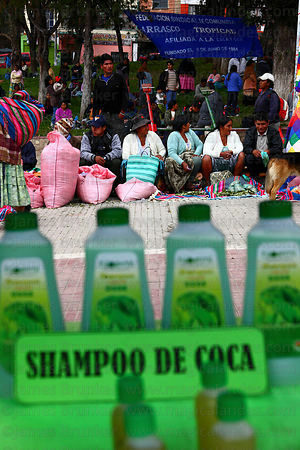 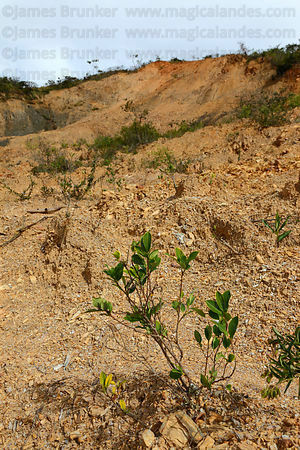 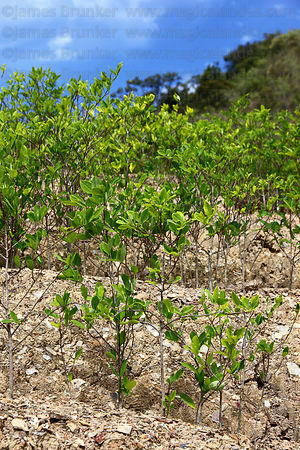 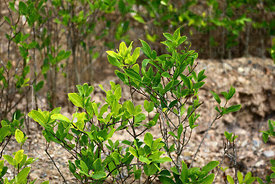 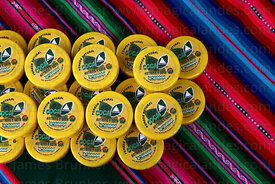 The coca plant (Erythroxylum coca) is traditionally grown in subtropical regions and valleys (the Yungas) of the eastern slopes of the Andes of Peru and Bolivia, it is also now grown in Colombia. 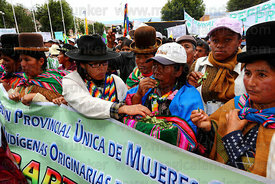 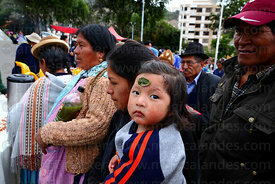 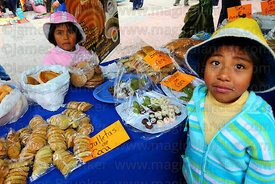 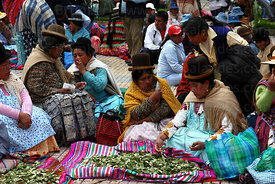 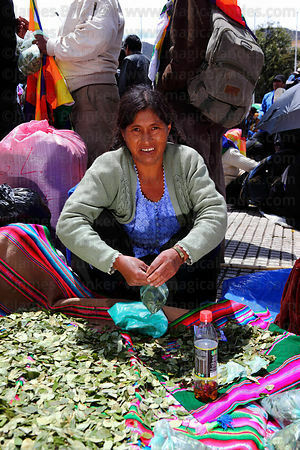 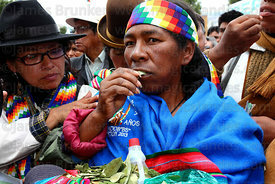 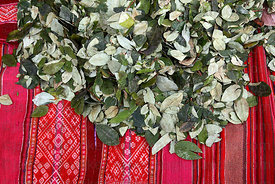 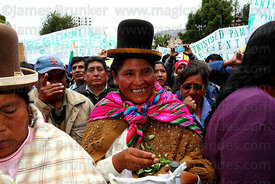 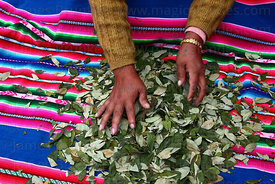 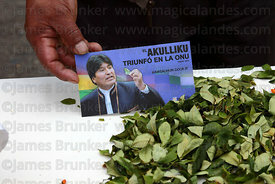 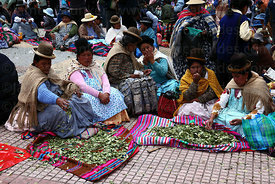 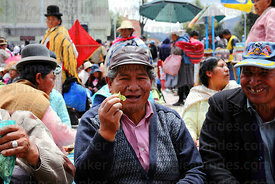 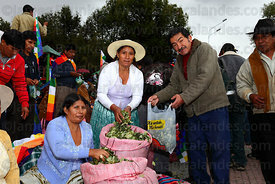 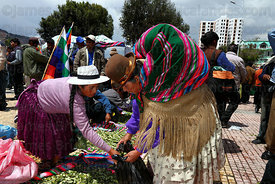 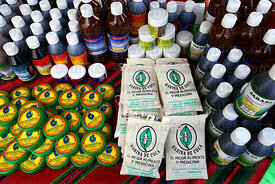 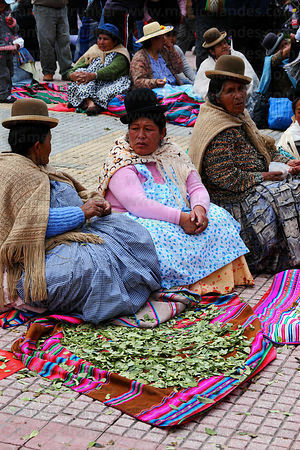 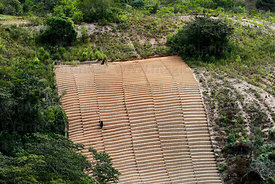 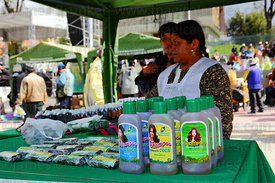 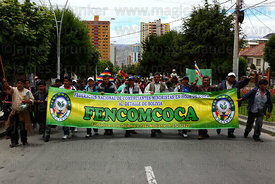 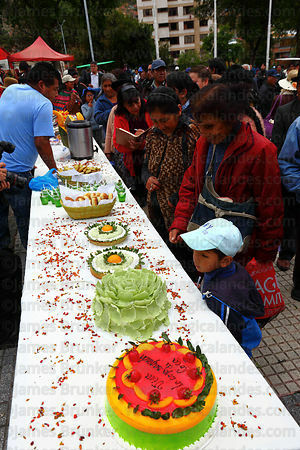 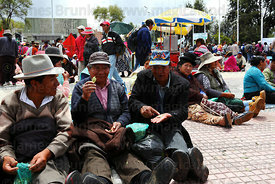 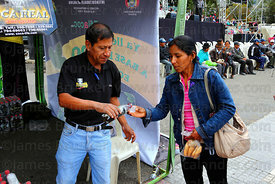 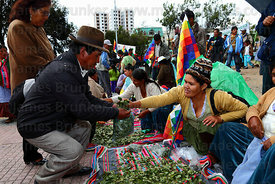 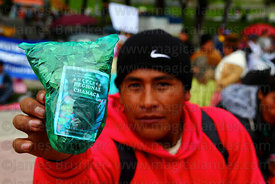 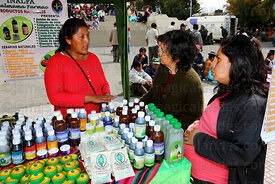 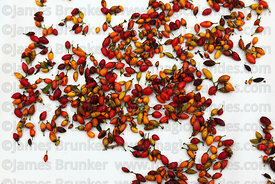 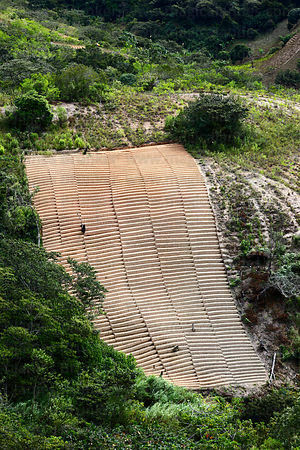 The leaf has been used by the indigenous people of the Andes for millenia and is regarded by them as sacred. 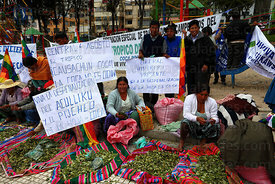 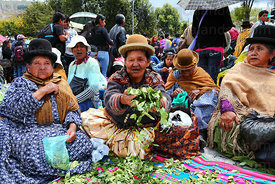 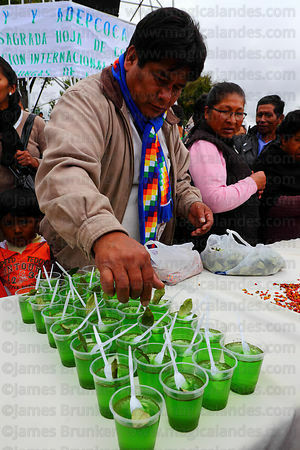 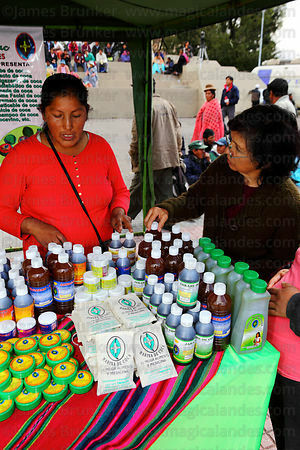 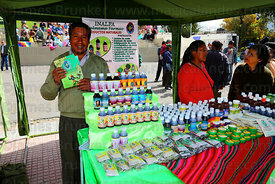 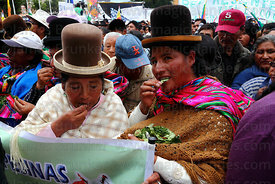 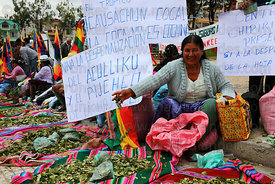 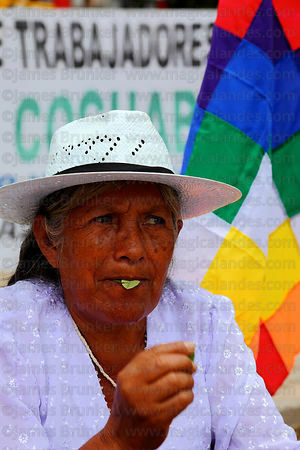 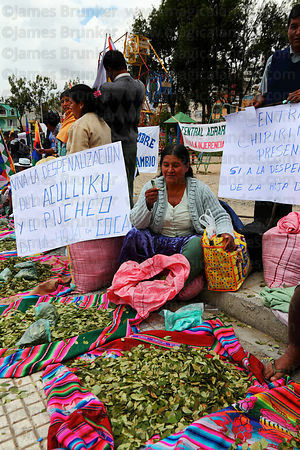 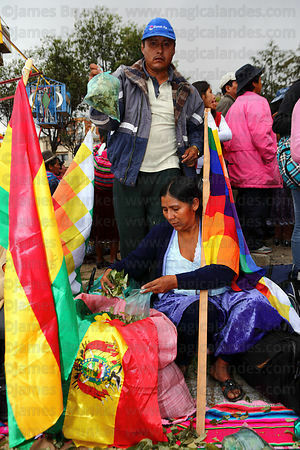 It is an important medicinal plant, is used in many rituals and ceremonies and chewing the leaf (known as acullico in Quechua, picchar or piccheo in Aymara) is an everyday habit. 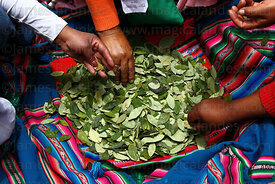 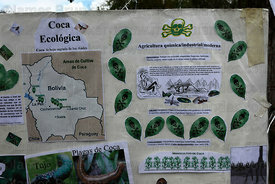 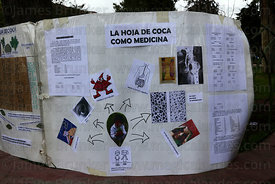 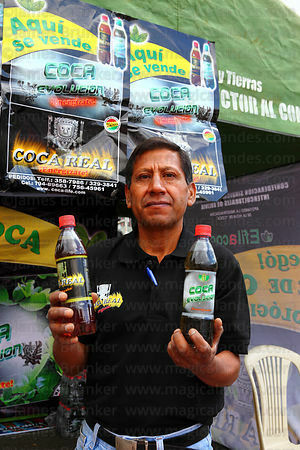 The coca leaf is also the source of the alkaloid cocaine which was first isolated by the German chemist Friedrich Gaedcke in 1855 (the alkaloid content of the leaf is low, approx 0.25% to 0.77%). 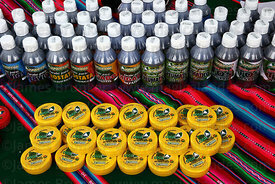 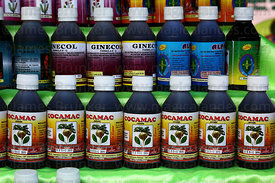 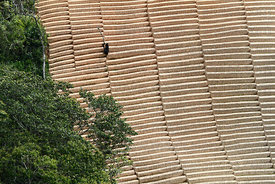 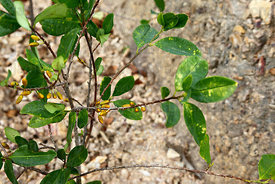 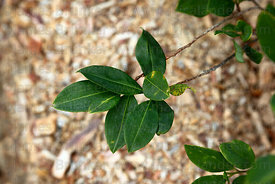 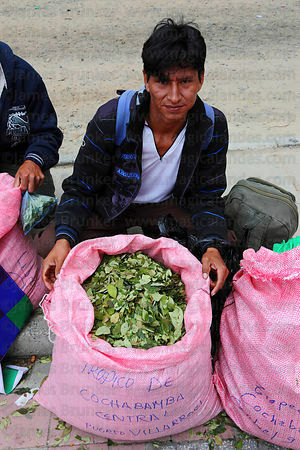 Several chemical processes (which involve petrol / gasoline, sulphuric acid, caustic soda and other chemicals) are needed to extract the alkaloid from a large quantity of leaves and purify it to produce the drug cocaine. 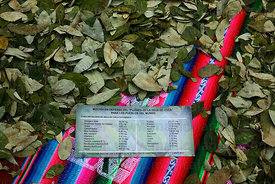 The leaf is listed in Schedule 1 of the 1961 UN Single Convention on Narcotic Drugs, which prohibits its use and cultivation except for medical or scientific purposes. 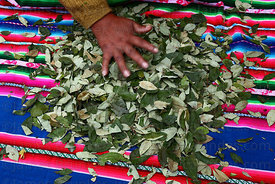 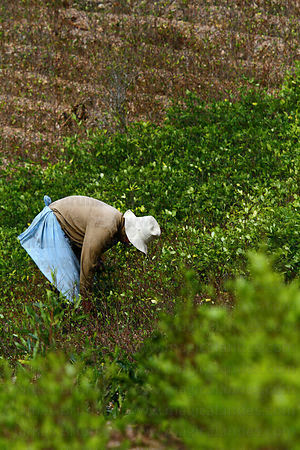 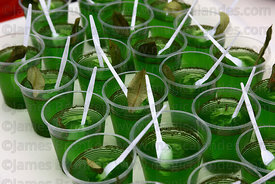 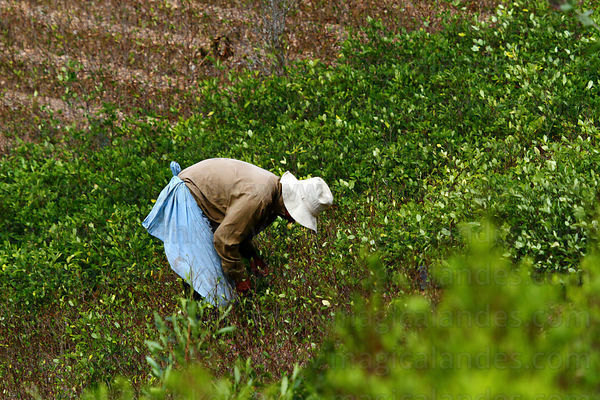 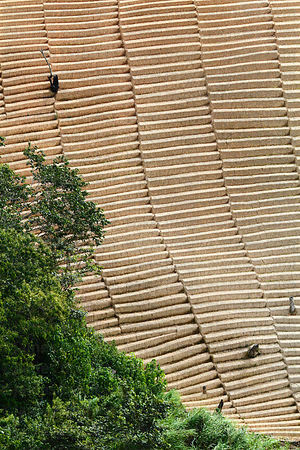 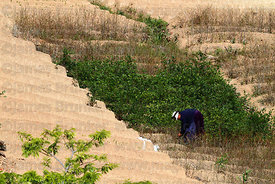 In countries where traditional use of the unprocessed leaf is common the cultivation of the plant, sale and use of the leaf for traditional purposes is legal. 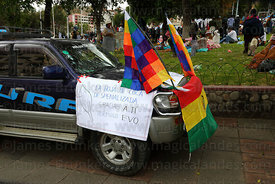 Parts of the 1961 UN Convention have been modified on occasions to reflect this, most recently in 2013 after Bolivia withdrew from and then rejoined the convention. 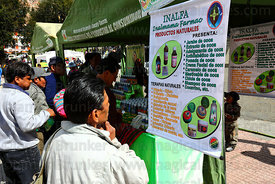 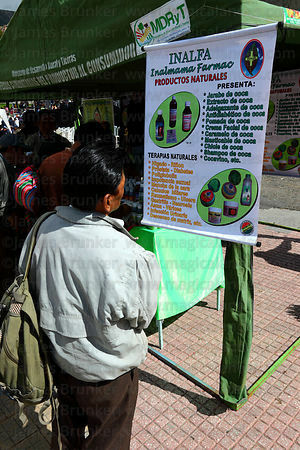 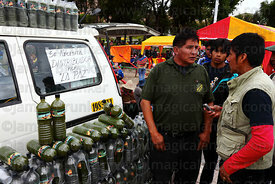 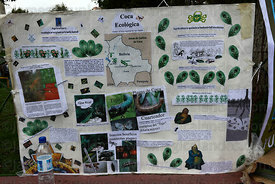 This gallery contains images of coca plants and plantations, leaves, markets and products, and also images relating to protests and events promoting traditional uses of the leaf.